In 2004, after failing to secure a deal for a new arena in Newark, New Jersey (eventually a new arena, the Prudential Center, was built in Newark for the New Jersey Devils), the YankeeNets sold the franchise to a group headed by real estate developer Bruce Ratner for $300 million, beating out a group led by Charles Kushner and Jon Corzine. While Kushner and Corzine wanted to keep the Nets in New Jersey, Ratner planned to move the team back to New York. In 2005, the Nets announced plans to locate the team in the Prospect Heights neighborhood of Brooklyn. 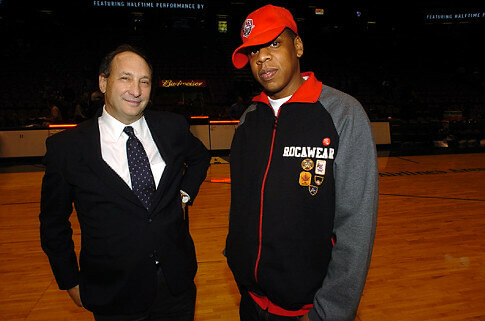 One of the members of the ownership group at the time was rapper and Brooklyn native Jay-Z, who owned less than 0.07% but has been an outspoken face of the ownership team.